Only 3 weeks into Summer and I am scrambling to keep my kids occupied and entertained. 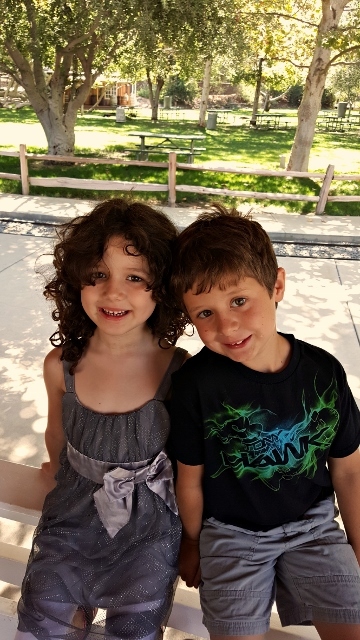 How do you keep two very active children from going stir crazy? 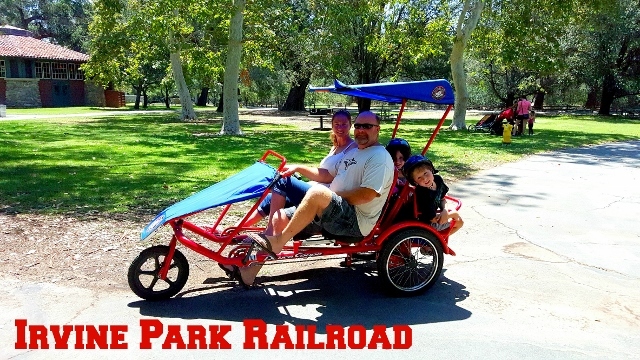 Luckily, one of my friends, Ruth of SoCal Pocket Memories, was having a play date at our favorite park, Irvine Park Railroad. While this is a favorite park of ours for every holiday season, I tend to forget that it has great year round activities. This park is HUGE! 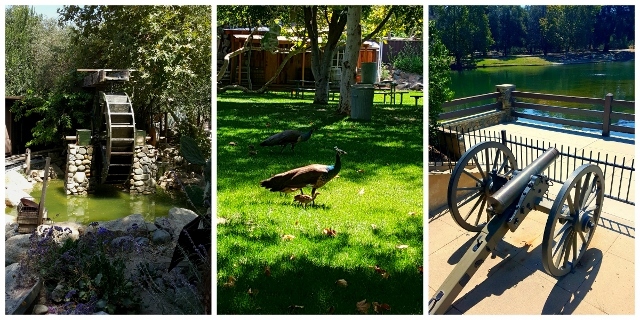 It has the OC Zoo, horse riding stables, pony rides, Boy Scout Camp, Outdoor Education Center, historical buildings, gold panning, fishing, hiking trails, bike rentals, paddle boats and much more! 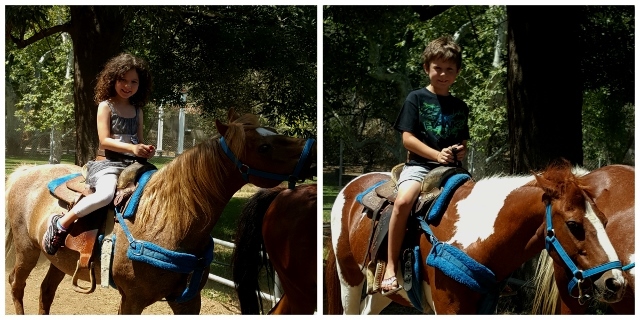 Besides riding the train, my kids favorite thing to do is ride the horses. For a minimal fee, the kids can ride ponies led by staff around two tracks. This trip, we had won raffle tickets to try out some of the other activities. 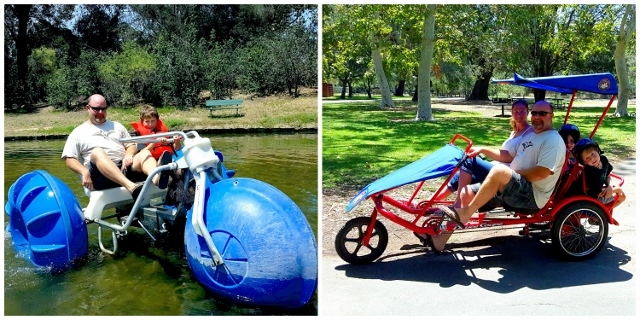 We really enjoyed the Hydro bikes and Family Bikes! It was a hot day and I really reccomend bringing water for the whole family. If you forget, there is a snack bar with ice-cream and other treats at the front entrance and by the bike rentals. 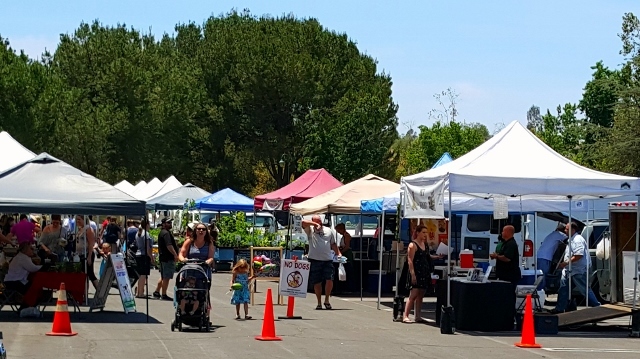 If you are lucky, you might be at the park when the Farmers Market is going on. We had stopped for a break and treated ourselves to fresh fruits and nuts. This is right behind a large playground where the kids can stretch their legs and imaginations. The beauty of the park amazes me everytime I go. I love the changing of the seasons and in California, it is hard to find. 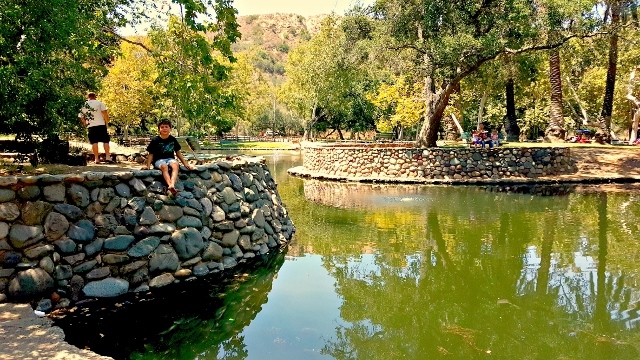 Irvine Park has something for every season. Thank you Ruth and Irvine Park Railroad for a wonderful day! You gave my family memories to last a last a life time. These days of my children still wanting to do things with their parents are limited and I am glad to be able to share such fun places with them. I didn't know they have a farmers market, I'll have to check it out sometime.